It was in the spirit of the intense and aspirational goals of RSMI’s ambitious programs for jazz and classical musicians—as well as the bold musical vision of Leonard Bernstein, whom Ravinia has just gotten underway celebrating with an expansive multiyear tribute—that Bridges, an international jazz and classical fusion composition competition, was born. It offered an imaginative challenge for artists ages 17–30 (the same age range as the 60–70 performers invited to RSMI each year) to compose original works specifically for a string quartet and a jazz trio. “The Bridges competition was conceived to help give young professionals a place on the map—if not the world stage—which is precisely what RSMI has been granting singers and instrumentalists for the past three decades,” Kauffman said. The directors of the RSMI Program for Jazz had long dreamed of such a competition, having written many works combining jazz and classical music and players themselves. Nine months before Obama’s historic announcement last winter, Ravinia had already significantly connected with the government of Cuba. In March 2014 an ensemble of young chamber musicians, alumni of Ravinia’s Steans Music Institute (the festival’s summer conservatory), performed in Havana’s Festival de Música de Cámara. 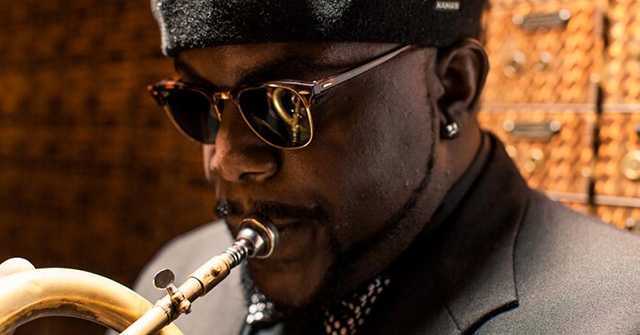 Chicago native and 2010 Ravinia Steans Music Institute Jazz Alum, Marquis Hill, has taken top honors at the 2014 Thelonious Monk International Trumpet Competition. He adds this an already impressive streak over the last few years with his Carmine Caruso International Jazz Trumpet Solo Competition win in 2013 and International Trumpet Guild Jazz Improvisation Competition in 2012. The win comes with a $25,000 music scholarship and guaranteed recording contract with Concord Music Group. 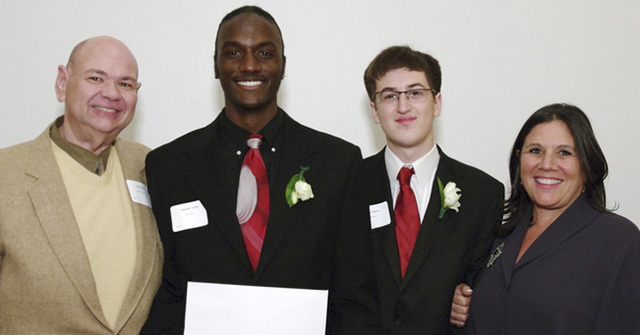 Marquis talked briefly about his time here as a fellow of the Ravinia Steans Music Institute Program for Jazz in the video celebrating 25 years of the Ravinia Steans Music Institute in 2013 below. Ravinia is developing a new section of its website called Kid Zone, geared for kids ages 5–10. One of its functions will be to share the Ravinia-inspired art, drawings and writings about music online with other festival-loving children. This work could include reviews of concerts, short prose and poetry about music, and drawings of the park. Please e-mail submissions to kidzone@ravinia.org. The Ravinia Associates Board will host its most important event, the annual Music Matters fundraising dinner, dance and auction at 6:30 p.m. on Saturday, May 9, at Radisson Blu Aqua, 221 N. Columbus Drive, Chicago. Performing live will be one of Chicago’s most popular bands, the high-energy Maggie Speaks. Proceeds from this spirited black-tie event support the not-for-profit Ravinia Festival’s REACH*TEACH*PLAY education programs. Last year’s event grossed a record $494,214 for the programs, which reach 75,000 people in Cook and Lake Counties, largely in underserved Chicago Public Schools. Each year, a person or group who has made a tremendous impact on Ravinia’s education programs is honored at Music Matters. 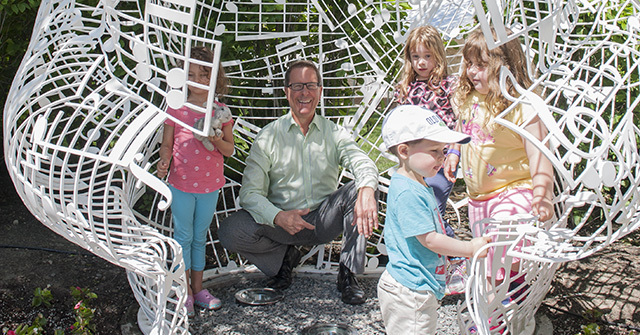 This year’s honoree will be the man who actually gave REACH*TEACH*PLAY its name, Welz Kauffman, who celebrates his 15th anniversary as President and CEO of Ravinia in 2015. Every summer Ravinia's Steans Music Institute has the opportunity to work with a handful of talented musicians. Once they depart our program we make a point to keep in touch and are always excited to hear about their next milestones. With that in mind, we are happy to share the news that 2014 alumna Diana Newman has become part of The Patrick G. and Shirley W. Ryan Opera Center Ensemble for the 2015-2016 season at the Lyric Opera of Chicago! Congratulations Diana! You can learn more about Ms. Newman on her website and by watching the video of her August 11, 2014 performance (below) of three songs by George Crumb in the Bennett Gordon Hall. The 2014 Chicago Symphony Orchestra residency is winding down. That means there are only a handful of opportunities left to give your high school a chance to win cash for its music program. All high-school students are admitted free to the lawn for CSO concerts, but those students should sign in at the box office before entering the park to earn a point for their school. The school with the most points at the end of the season will win $5,000, awarded by the Ravinia Associates Board. For the first time in years, Highland Park High School is pressing its hometown advantage—here are the standings—but students can turn the tides by attending Don Giovanni on Aug. 14 and Aug. 16 or The Marriage of Figaro on Aug. 15 and Aug. 17. This week Ravinia’s Steans Music Institute (RSMI) welcomed 14 of the world’s most talented professional musicians to its summer conservatory program for singers. They’ve come from Australia, Canada, Germany, Norway, Poland, South Africa, South Korea, Ukraine, the United Kingdom and, of course, the United States. They will participate in a free, public master class with James Conlon at 2 p.m. on Friday, Aug. 1, in Bennett Gordon Hall. View a full list of concerts and master classes to be given by the RSMI class of 2014. Notions of which intervals in music are considered pleasing have certainly changed drastically ever since the first polyphony (more than one musical line at a time) emerged in Western music around 900 C.E. Medieval theorists had some very specific notions as to which combinations of sounds should be allowed and which should be avoided. And none was avoided more than the interval known as a tritone, so named because it comprises three whole steps—in the key of C Major (the white keys of the piano), it occurs between F and B. Theorists considered the interval to be unstable and dissonant, and for that reason it was avoided not only in harmony, but even in melodic lines for nearly a thousand years. When music students first enter conservatory-type schools, they are traditionally required to take a course in “sight-singing,” a thorn in the side of many of music student, unless they possess “perfect pitch,” which is quite rare even among accomplished musicians. In order to identify and sing various intervals, many students learn them as part of a well-known melody. For instance, an ascending perfect fourth is the first two notes of “Here Comes the Bride”; an ascending major sixth is outlined by the first two notes of the iconic musical tag for “N-B-C.” And of course, different students might choose different melodies, depending on what they are most familiar with. But the tritone? That’s a much harder one to find. And so virtually all music students learn an ascending tritone as being the first two notes of the song “Maria” from West Side Story. Was Bernstein, who composed that immortal score, purposely doing something that had once been “forbidden” to make some sort of a point? Dennis Polkow, who has written an article for Ravinia magazine on the musical, points out that it also occurs right at the beginning of the piece between the second and third notes of the little three-note signal that is played by the orchestra as well as whistled by the gang members. Perhaps it is meant to convey the “dissonance” between the warring factions of the Sharks and the Jets. Or maybe it’s just Bernstein being his iconoclastic self, using whatever means he had at his disposal to achieve whatever effect he was aiming for. But one thing is certain: Most music students will never hear “Maria” the same way again. Not only do children and students through college receive free lawn admission to every classical concert at Ravinia, but high-school students could actually win cash for their school’s music program. Each time a student attends a CSO performance at the festival, his or her school earns a point. At the end of the season the school with the most points will receive a check for its music programs from the Ravinia Associates Board. Double points will be awarded at the Tchaikovsky Spectacular on July 27, when Ravinia’s student marketing team will host a free preconcert hangout with food and refreshment for all high-school students. Remember to check in at the box office to get your points. 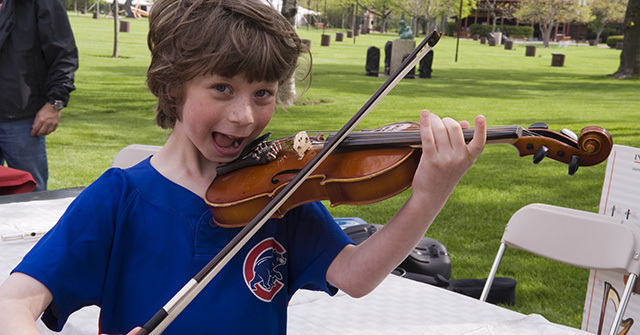 Ravinia’s One Score, One Chicago initiative features a piece of symphonic music each year to be the focal point of a public conversation about the art and as a project to bring into schools through its REACH*TEACH*PLAY education programs. This year’s One Score selection is Howard Shore’s Oscar-winning score to The Lord of the Rings—The Return of the King, and an original resource guide is available online now. With his Oscar-winning scores for the Lord of the Ringstrilogy, Howard Shore contributed the heartbeat if not the soul of those phenomenally successful films. Ravinia concludes the trilogy this summer with the Chicago Symphony Orchestra performing the score to The Return of the King while the film is broadcast on video screens in the Pavilion and on the lawn on Aug. 7 and Aug. 8. Pavilion or lawn tickets are $25 each. Children and students will be admitted free to the lawn, but tickets must be reserved in advance. KidsLawn will be open for the following events: June 14, Chinese Circus of Beijing and June 14, Laurie Berkner; July 5, Justin Roberts; July 12, Tom Chapin; July 13, CSO Broadway Evening; July 19, Ralph’s World; July 20, CSO Lerner & Loewe Evening; July 27, CSO Tchaikovsky Spectacular; Aug. 2, Classical Kids LIVE! ; Aug. 10, CSO Viennese Evening; Aug. 15, Young Musician Concert; and Sept. 13, Ruth Page Civic Ballet.